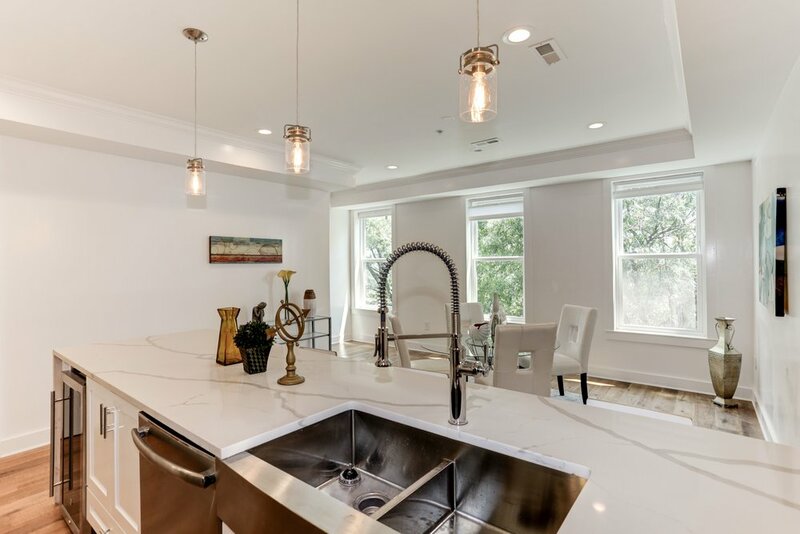 1308 L Street, SE is a new four unit condominium with all new systems and design. The floor plans are bright, open and designed for entertaining. Quality construction and well coordinated finishes are at every turn. The large white kitchens have peninsulas that overlook the living/dining areas and include barstool seating for six. Bathrooms have floor-to-ceiling large format ceramic tile, frameless glass showers and double master vanities. The master suites are flooded with light from sliding glass doors and feature a massive walk-in closet. There are multiple hall closets and in-unit washer/dryers. Each unit has outdoor space and the penthouse has a massive 750 square foot double roof deck. Just a 5 minute walk to Harris Teeter and Potomac Avenue Metro (Blue/Orange/Silver) but on a quiet and low-traffic block, these units are perfectly situated in Hill East and convenient to all of DC, MD and VA.
Capitol Hill is Washington's is largest historic residential neighborhood and one of its oldest. Predictably, the residents live and breathe (and sometime seethe) politics, but the overall vibe is delightfully small-town and friendly.